Reps. Ed Perlmutter (D-CO) Denny Heck (D-WA), Steve Stivers (R-OH) and Warren Davidson (R-OH) are the chief sponsors of the Secure and Fair Enforcement (SAFE) Banking Act. It was formally filed earlier this month, and currently has 138 cosponsors—more than a quarter of the House. ‘Among the cosponsors is the chair of the committee herself, Rep. Maxine Waters (D-CA), who spoke about addressing banking issues in the cannabis industry shortly before assuming the position. Judiciary Committee Chairman Jerrold Nadler (D-NY) and Rules Committee Chairman Jim McGovern (D-MA), have also signed onto the legislation—demonstrating its support among powerful Democratic leaders of the House. All of this sets the stage for a potentially game-changing vote, as Republican leadership during the last Congress consistently blocked marijuana-related bills from even being considered. With Democrats in control and leading lawmakers embracing the legislation, it stands a good chance of heading to the full House and then on to the Senate. Resolving banking problems for marijuana companies was one of several legislative goals that Rep. Earl Blumenauer (D-OR) outlined in a blueprint to end federal marijuana prohibition he sent to his party’s leaders last year. Marijuana banking is the clearest example of the most out of touch & destructive federal cannabis policies. There were several changes made to the banking bill since it was last introduced in the 115th Congress. For example, the legislation clarifies that protections are extended to financial institutions that work with ancillary cannabis business—not just those that directly sell marijuana or marijuana products. “[P]roceeds from a transaction conducted by a cannabis-related legitimate business shall not be considered as proceeds from an unlawful activity solely because the transaction was conducted by a cannabis-related legitimate business,” the bill states. 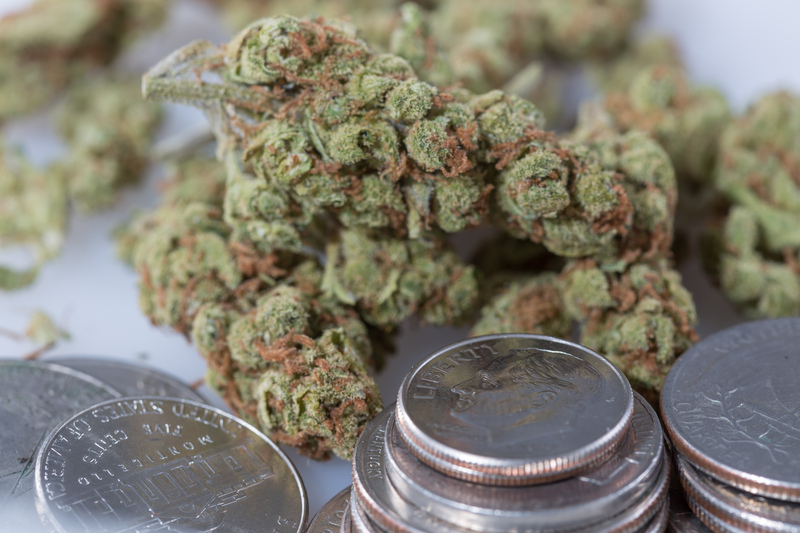 There have been widespread calls to tackle the banking problem, including from members of Congress and representatives of cannabis businesses. With this vote, it seems those calls are at least starting to be answered. Meanwhile, Nadler has signaled that his Judiciary Committee may also take up broader marijuana legislation soon. This story has been updated to include statements from Perlmutter and NORML.